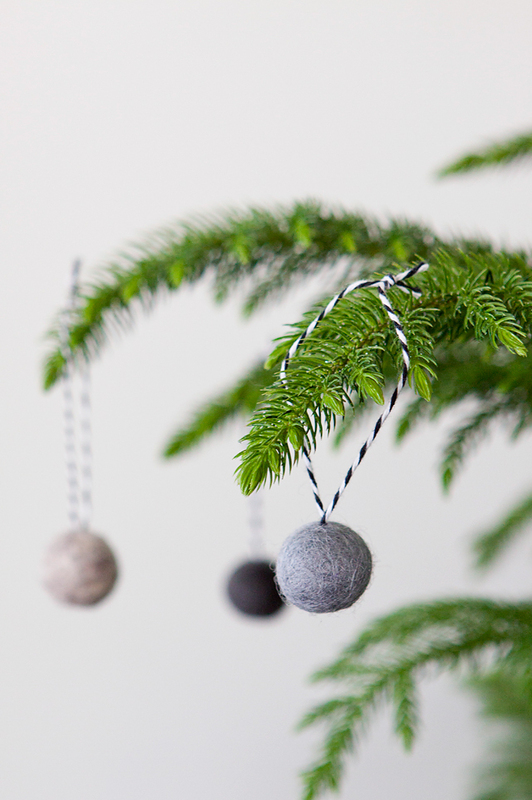 I’m excited to share with you this fun felt ball ornament tutorial. 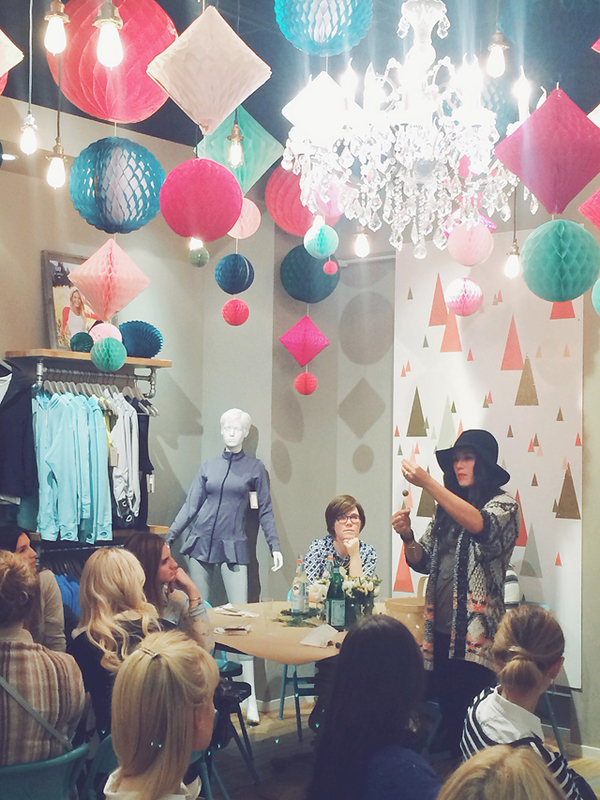 We had some amazing people attend the event, it was so fun to chat and get to know some amazing ladies! 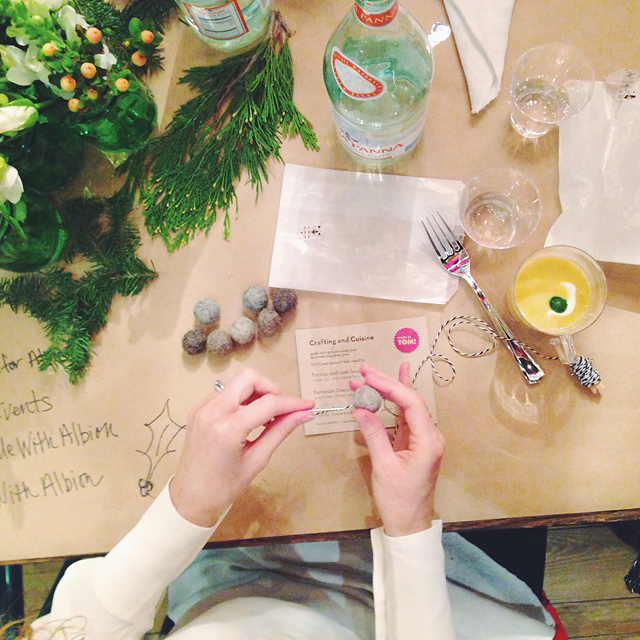 I met so many creative ladies, and even a professional mountain biker, and even Melissa who wrote the book Whole 30! Embroidery Needle with a sharp needle. Make sure you don’t get one with a dull end, it needs to be sharp but with the larger eye for the twine to go through. I find them in the embroidery isle. I like the size 18. Twine- I like to use bakers twine. Thread the Twine through the needle eye. I like to cut a piece about 36 inches long. 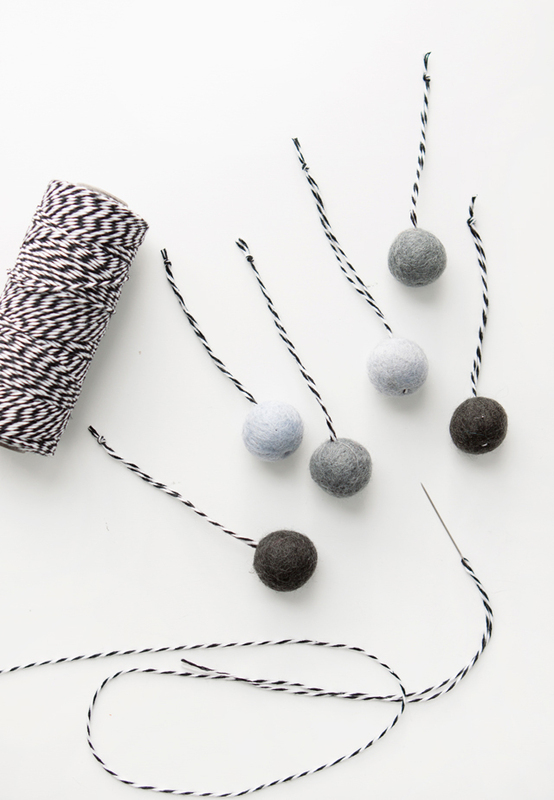 Push the threaded needle down the middle of the felt ball and string the twine through until about 4-5 inches remain. 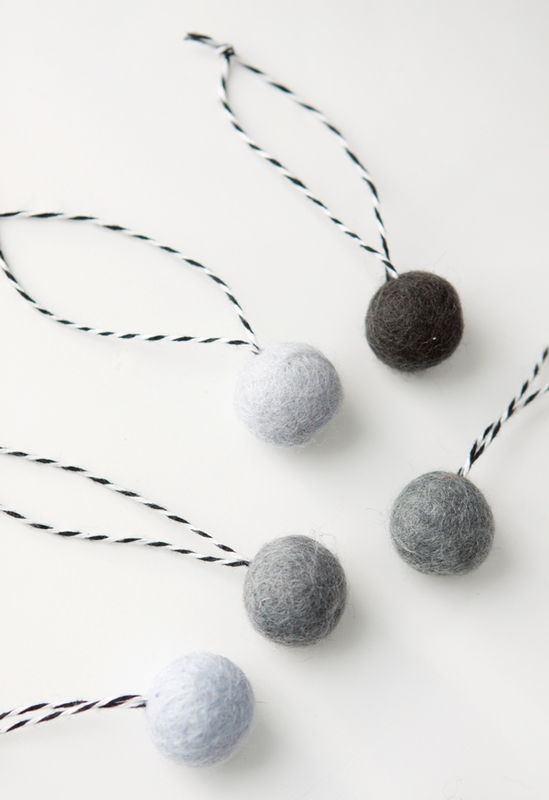 Bring the needle back around and up through the felt ball close to where the twine came out the first time. Trim the twine to the size of the other twine. 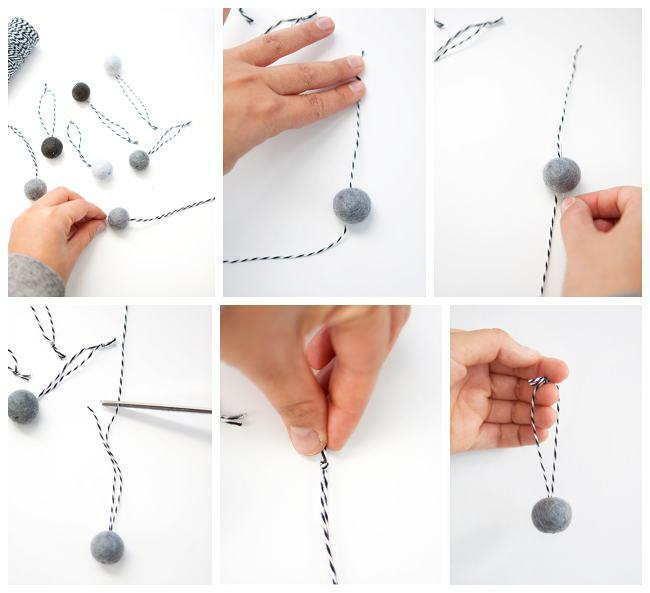 Tie a loop knot at the end to secure the loop and complete the ornament! 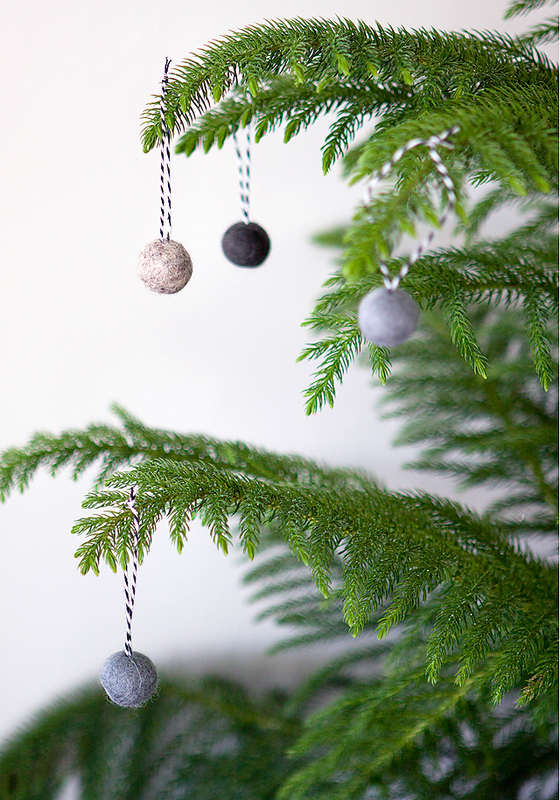 Repeat for more ornaments! 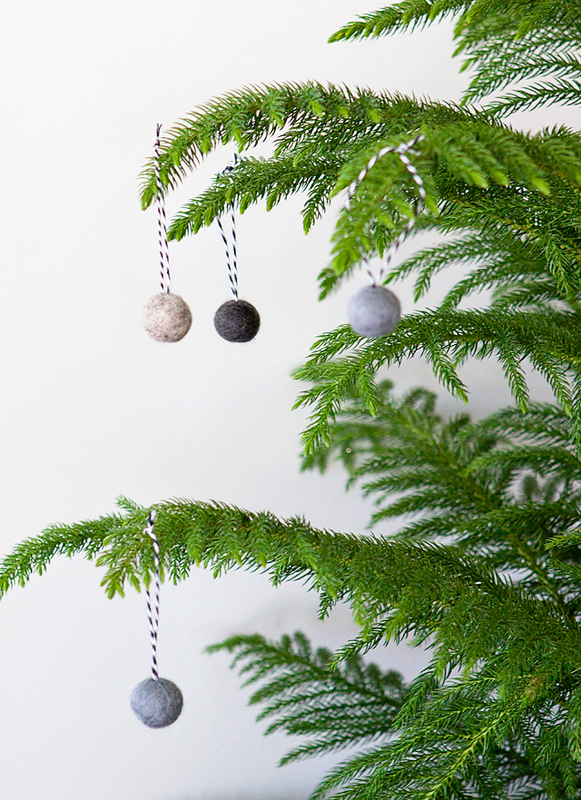 Dress up your tree, or they would even make cute gift toppers for your packaging! 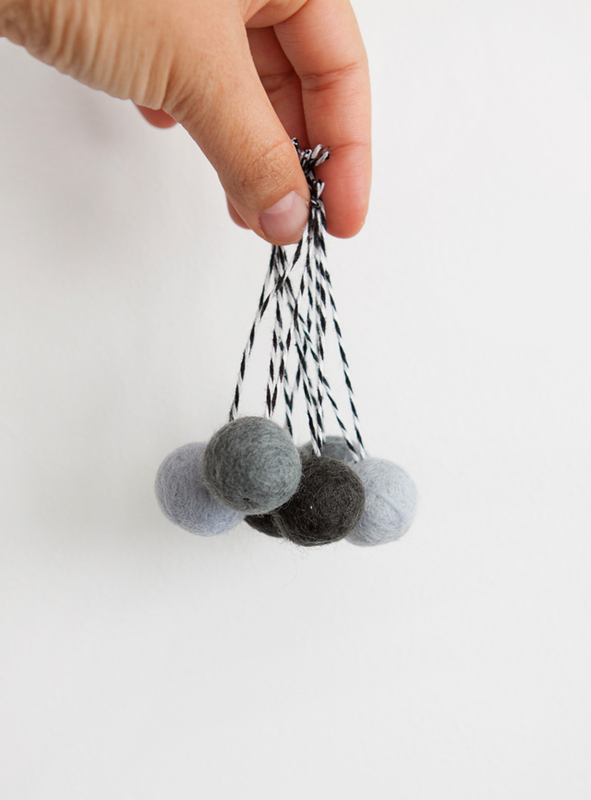 Oh these are so simple and wonderful!